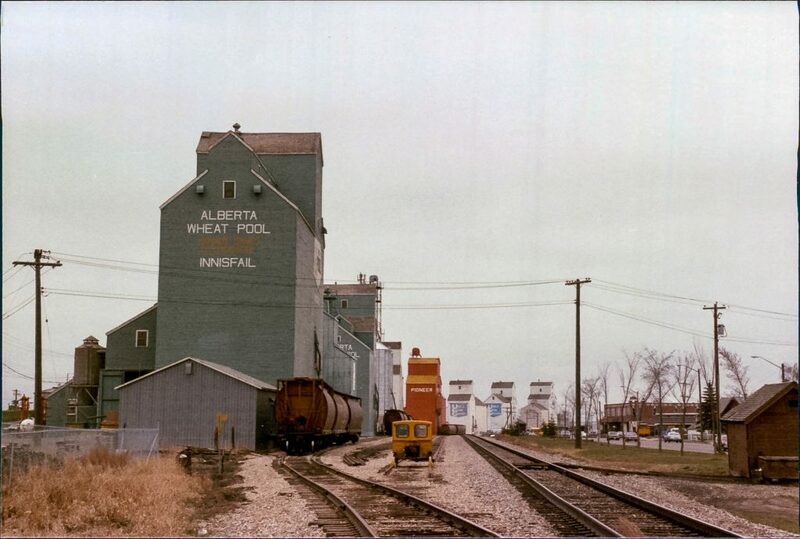 Grain elevators in Innisfail, AB, May 1986. 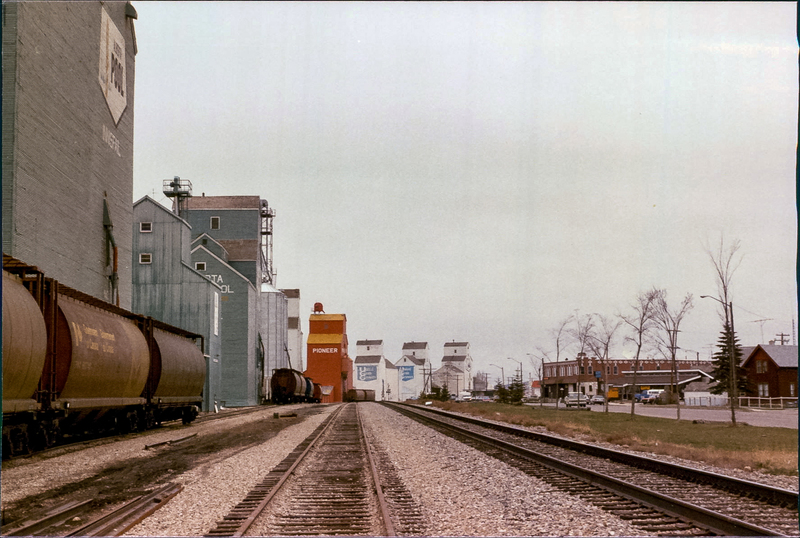 Copyright by Robert Boyd. Back in 1986, there were seven grain elevators in Innisfail, Alberta. 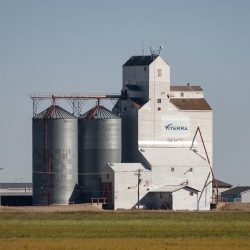 Today there are none in the town itself, but there are a pair of Canada Malting elevators just north of Innisfail on the way to Penhold. 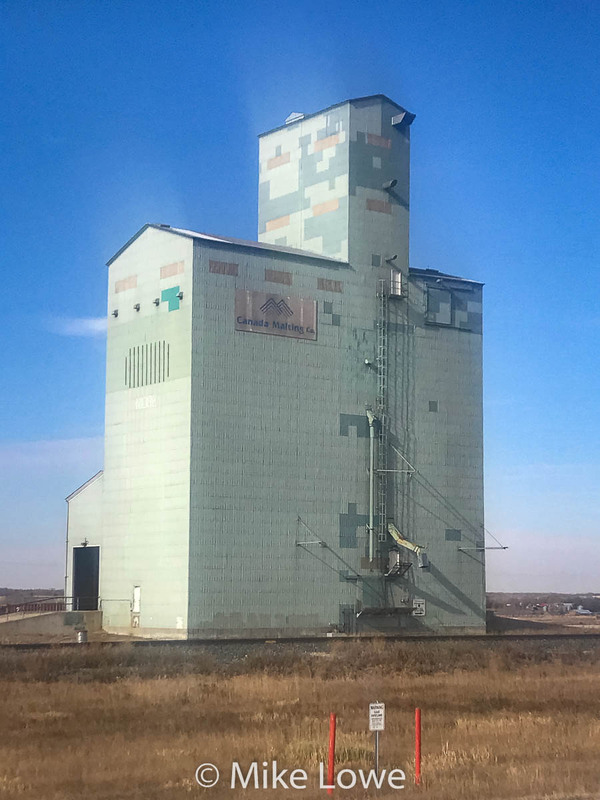 Grain elevator near Innisfail, AB, Oct 2018. 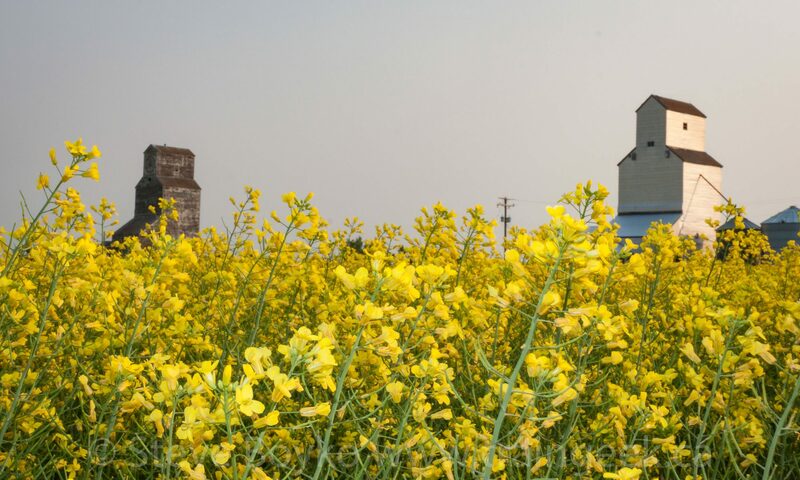 Contributed by Mike Lowe.